Right here, right now I will totally admit this is an opportunistic blog. I can’t help it; it’s the year I became a hockey fan and, like the rest of my community, I might be a little obsessed. And I do tend to relate everything to fundraising. 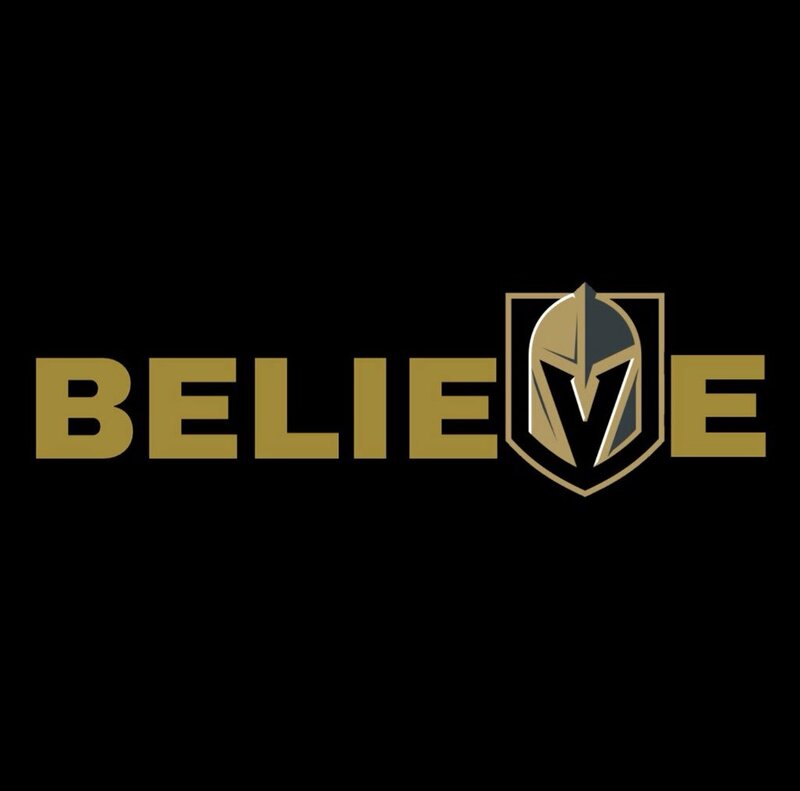 The Las Vegas Golden Knights have just lost the Stanley Cup to the Washington Capitals. To say this was an incredible, community-changing season is an understatement. To say that the Las Vegas community is different today than it was a week, a month, a year ago doesn’t even begin to describe the feeling most of us have. Why, though? And what does a winning season of hockey – played in the desert where it hit 104 degrees today, mind you – have to do with Fundraising? “Las Vegas is the only major metropolitan area of its size without a professional sports team.” This was the rallying cry. We don’t have one, we need one because of the recognition and revenue it brings and, doggone it, we deserve it. We’d been told for so long that we couldn’t have a sports team here because, y’know, people might leverage that for gambling and that would be bad. Right. Everyone in town has a favorite professional team (at least of those who care about sports), but they’re all somewhere else – that means money is leaving our community and going elsewhere. Having been hit hard by the Great Recession, that was important to us. Vegas money needs to stay in Vegas. Who paid a lot of the initial bills, true. Bill Foley, the owner of the Golden Knights, worked tirelessly to champion the idea. He got the right people onboard with them and then they took it to the community. And the community said, “Huh?” And they kept reiterating the problem and then telling us how they were going to solve it. We all watched T-Mobile Arena being built while we watched our home values drop, but the minute the doors were opened, they invited us in. It became our new playground. We were curious. We needed something, we’d been depressed – financially and emotionally – for years. But they made it our team and our arena and a part of the fabric of our city. It was never about them, it was always about us and who our city could be with a professional sports team. Misfits. “Everybody on this team has something to prove.” They were never supposed to be a great team. We kind of didn’t care, we were already kind of into it – at least the sports fans were. It was a novelty, a new idea. They did a good job of bringing us into the process, but then they team they gave us – misfits. Castoffs. Nobody does misfit better than this city; we don’t fit in any normal measurements. Vegas is a town built on dreams and the improbable. Tell us something can’t be done and we’ll do it, air-condition it, pump water through it and charge you to come see it. We still walk the streets with the children and grandchildren of our founders. Even our transplants get that pioneer, tame-the-desert spirit. Misfits? Watch us. Even before there was a logo and a name they were out in the community. They launched a Foundation, they got the word out, they were at major events and in high publicity. They got out into the community they were serving and they got to know us. They didn’t expect us to just come to them because they deserved it or because they were there. They came to us and met us where we were. We needed something right then. We needed something outside of bullets and emergency response and horrible news and heart-wrenching stories. And they became that thing and they accepted that mantle and carried it with grace and courage. They got us on board, they made it about us — and then they WON. It wasn’t enough to fulfill the promise of “now you have a professional sports team.” No, they went on to be really, really good, this band of misfits playing a winter sport in the desert. And not only did they win games, they won championships and they went all the way to the granddaddy of them all – the Stanley Cup. We are giddy. We got behind a thing, a promise, a dream and then they delivered. EVERYBODY wants to be a part of a winning team! It feels good. And it feels good when we’re winning together! At every step of the way they have thanked us. They thanked us when they first came to town, they thanked us for coming game after game, they thanked us for supporting them. They made themselves OUR team and although none of us were on the ice, I don’t think there’s a Las Vegan who doesn’t feel like they were part of that championship team this year. And there’s definitely not a Las Vegan who doesn’t feel like we’re a better city for their being here. I have never watched a full-length, professional sports event in my life until this past month. My friends will quote me with my standard “Go Sports! Put the thing in the other thing, yay team” and tell you I hate sports. I don’t. I just don’t care that much. I love hockey. I love the Golden Knights. I’ve watched more sports in the last month than in my entire life and I loved every minute of it. Because they made it about me. They made it about something I cared about, and because my community and I did it together. And we won. We band of misfits, we won, we solved the Problem. This season. Wait ’til next year! And if that’s not what we’re doing for our donors in fundraising, then I don’t know what it is. Love. This. Keep preaching bro. Inspiring article, thanks you! Maybe I have been living under a rock, what happened on October 1?